It seems slippers have grabbed my attention for the moment. Maybe because Fall is here and I don’t have a working furnace. Regardless of the reason these have been fun to knit and have inspired me to think about creating my own slipper pattern. So come back in a while I may have a new pattern for you! I’ve updated this post to let you know that this isn’t my pattern. It comes from Creative Knitting Winter 2014. Here’s a link to the Raverly page for it. If you like the pattern you’ll need to get a back issue of Creative Knitting. Sorry for the misunderstanding. This isn’t my pattern although I thought about doing some modifications to it. I got this pattern from Creative Knitting Winter 2014. This is the link to the Raverly page. You’d probably be able to find a back issue of the magazine. I’ve been following the tiptoe slippers what I thought carefully, using markers as well. 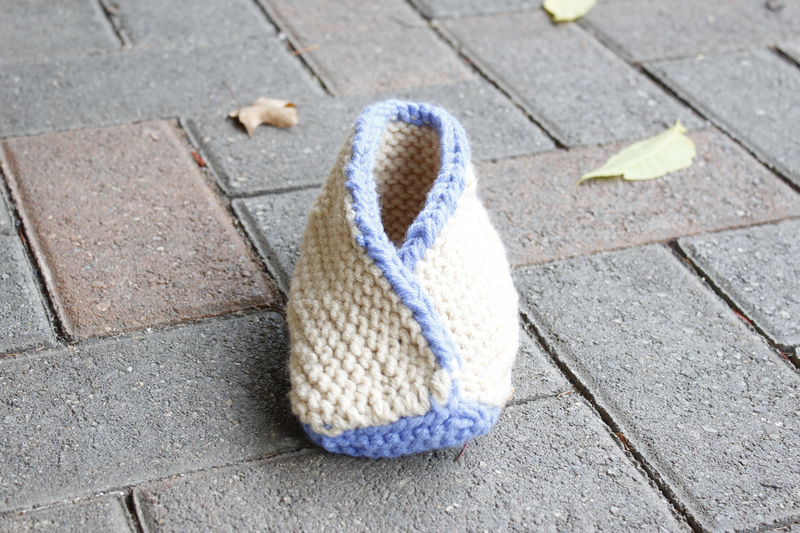 I have been asking for help with an experienced knitter/shop owner and she is perplexed how this slipper is configured. Is there any diagram help for this pattern that you know of? I don’t know of any diagram for these slippers. 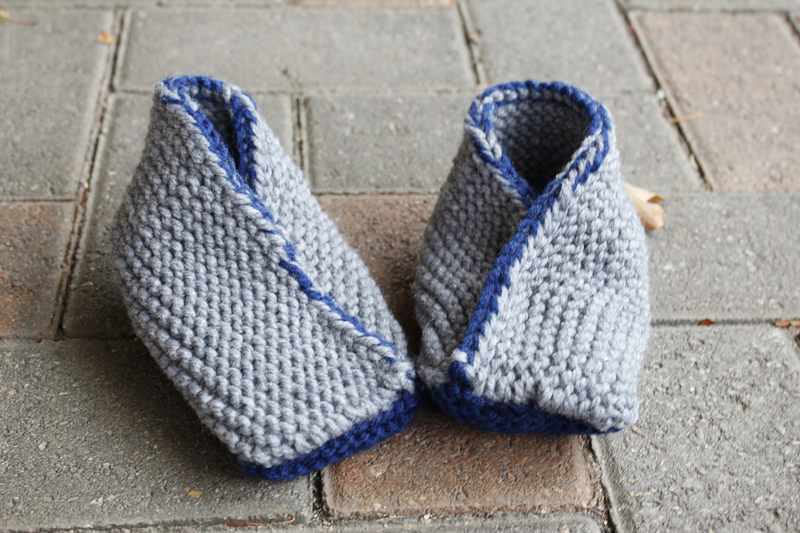 You knit the insole and then pick up and knit the sides, using short rows to shape the back heel a little and finally you cross over the front of the sides and sew them together. I hope that helps. I have to say I remember the short rows giving me a bit of a headache. I personally think you could get away without using them at all. The written pattern is confusing because of the layout. After you follow the instructions to knit the sole the next section gives the heel shaping instructions and, after that comes the sides. They should have put the heel shaping instructions after the sides or at least stated to do the heel shaping after the sides. I purchased the Adult Tiptoe Slippers pattern from Annie’s Craft Store and I am really upset that the instructions are so mixed up! I too cannot fathom what the instructions are saying. I agree the steps are in the wrong order and I think that it’s almost like it’s been printed to discourage knitting these slippers! Frustration! $5.99 ill spent! I too find it frustrating when you get a pattern that is difficult too follow, vague or unclear. And almost $6 for this pattern sized up for adults is way too much. from this sort of frustration as much as possible these days.